A All work and no play? I hope not. 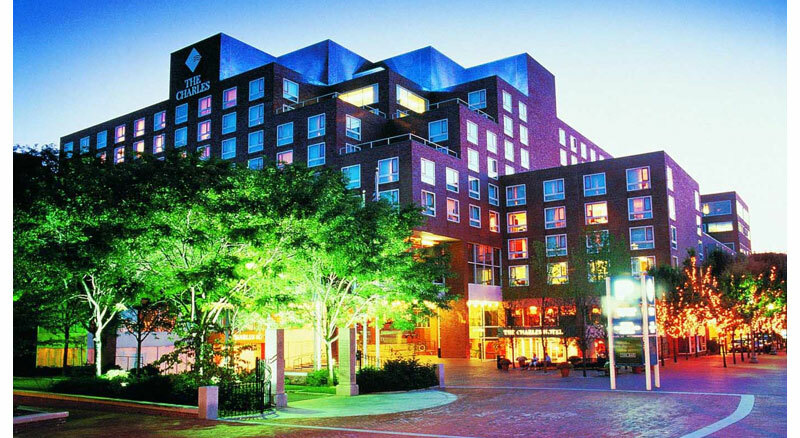 If you're traveling to Boston for the Abilities Expo, you better carve out some time to explore one of the country's most interesting and historic cities! Boston has a ton to offer but knowing where to go is key. Boston is also an historic city, meaning that many streets, restaurants, and attractions are difficult to access or not ADA compliant. Worried that accessibility might be a problem? Worry no longer! TravelEZ publishes detailed travel guides for Boston that only include fully accessible destinations in: The North End, Harvard Square, The Back Bay and Fenway Park. 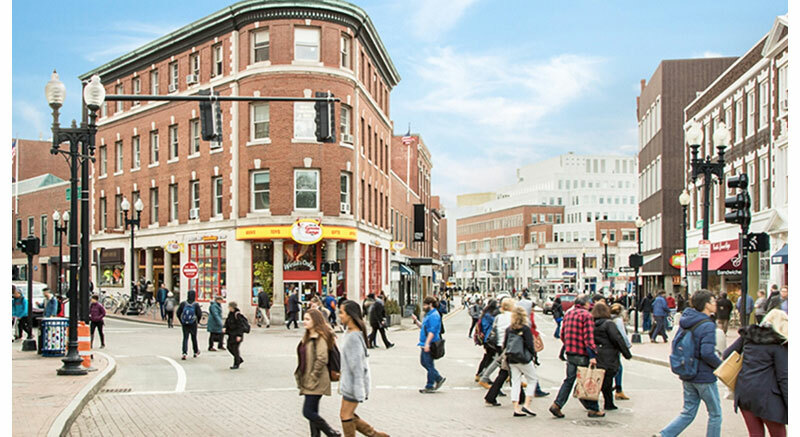 Here is an excerpt from a TravelEZ Guide for Harvard Square, one of Boston's most exciting and beautiful neighborhoods. Arrive via car at Harvard Square Parking Garage. Return to Harvard Square Parking Garage to leave the area. 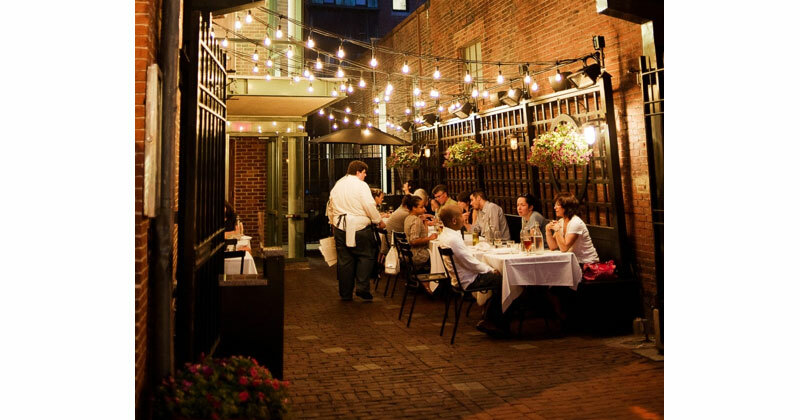 Russell House Tavern is rated one of Cambridge's best restaurants (Zagat, TripAdvisor, Yelp) and is conveniently located in the very heart of the Square (seconds away from the fully accessible T Stop)! An awesome American-themed (and pizza-diverse) menu coupled with perfect accessibility, a beautiful atmosphere, and friendly staff make this a top-notch option. Technically a collection of three separate museums, The Harvard Art Museums offer an amazing collection under one roof ($15 Adult Admission). Exhibits showing pieces dating back to over 2,000 years ago and coming from all parts of the world, this museum has a ton to offer. The museum's self-guided tour takes most 1.5-2 hours to view the entire collection, but you can take however long or short your heart desires! Educational staff throughout are always available to answer whatever questions you may have. There is also a café on the first floor in case you want refreshments or a little snack at any point! From their website: "Visitors arriving via paratransit van or similar are recommended to use the entrance on Broadway, which allows a right-side exit from the vehicle. Accessible parking is available in the Broadway Garage, located at 5 Felton Street. (Please note that the garage has a 6 ft. 8 in. height limit.) Parking permits can be purchased online; visitors without an assigned code can use "Visitor to Campus" as their department and 7700 as their department code in the online ordering system." The hotel offers 13 ADA compliant rooms (all king-size beds), three of which have roll-in showers. Additionally, there is a suite available that is ADA compliant and has a roll-in shower. The hotel is home to a list of three separate restaurants in its interior (Benedetto, Noir, and Henrietta's Table). Legal Sea Food's Restaurant and Corbu Span and Salon share the courtyard with the hotel as well. TravelEZ ("Travel Easy") is a startup whose motto is Making the World Accessible. TravelEZ provides curated accessibility guides for destinations, choosing the best, most accessible destinations a city has to offer! TravelEZ is also in the process of developing an app that will be the TripAdvisor of accessibility—highlighting access info for hotels, restaurants and attractions. The app will be available for iPhone in early 2019 with content for Boston and NYC, and will continue to expand to other cities thereafter. Have any questions, comments, or suggestions? Email TravelEZ founder Garrett Weinstein at garrettweinstein@gmail.com. Garrett Weinstein is the founder of TravelEZ, a startup focused on making travel easy and accessible for anyone with high accessibility standards (slow walkers, wheelchair users, etc.). Garrett is from Baltimore, a recent graduate from Tufts University in Boston, and now resides in New York City.